2018 VW Atlas or Nissan Pathfinder — Which SUV is Right for Seattle? Looking to upgrade to a bigger, better people mover for you and the family? 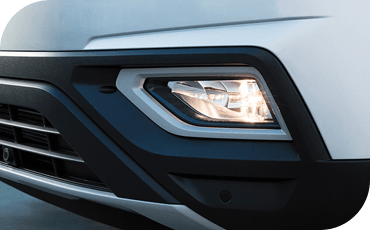 The perfect vehicle has arrived on our shores: the all-new 2018 Volkswagen Atlas! It's got room enough for everyone, plus the technology and confidence behind the wheel that makes it great not just to sit or ride in — but also to drive. After all, isn't that what it's all about? Come discover the amazing value of a 2018 VW Atlas! We'll show you below just how impressive this new SUV is by comparing it head-to-head against one of the most popular models in this segment: The 2018 Nissan Pathfinder. Even fully-grown adults can get comfortable in the rear row of the Volkswagen Atlas, with more third row legroom than any other vehicle in this segment and a sliding second row. Compared to just 30.7" of third row legroom provided by the 2018 Nissan Pathfinder, you'll find 33.7" in the 2018 Volkswagen Atlas. 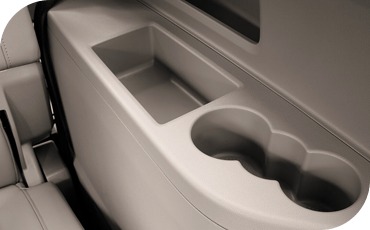 We also know that families of young children can't have too many cup holders. While you'll find 14 cup and bottle holders in the 2018 Nissan Pathfinder, the 2018 Volkswagen Atlas goes even further, providing 17 convenient spots for water bottles, soft drinks and all those loose little items these cup holders tend to collect. 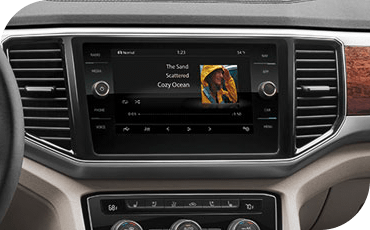 Getting your smartphone connected to your car's infotainment system for audio streaming and hands-free communications should be simple — and with standard Apple CarPlay™ and Android Auto™ in the Volkswagen Atlas, it is. These softwares aren't available on the 2018 Nissan Pathfinder at all. The precision German engineering of the 2018 Volkswagen Atlas makes it more enjoyable to drive than the Nissan Pathfinder. Its standard 8 speed automatic transmission delivers power smoothly and efficiently, especially compared to the mediocre response of the Nissan Pathfinder and its CVT transmission. What's more, the independent experts at Car and Driver magazine gave the 2018 Volkswagen Atlas four-and-a-half out of five stars for performance and driving impressions! The VW Atlas was able to stop quicker and grip better than the 2018 Nissan Pathfinder in their tests, prompting them to write, "A finely tuned suspension gives the Atlas a fun-to-drive aspect that a lot of large crossovers don’t have, and its solid braking and cornering performance provide assurance." The 2018 Nissan Pathfinder received just 3 stars for performance from Car and Driver. Both these crossover SUVs are available with all-wheel drive for improved poor weather performance. That said, the all-wheel drive system on the 2018 Volkswagen Atlas is even more sophisticated. It's 4MOTION® with Active Control system gives you a dial to select one of four available driving modes. Choose the mode that best suits the conditions ahead, whether it's rain, snow or an off-road trail. Selectible all-wheel drive modes aren't available on the 2018 Nissan Pathfinder. An advanced suite of driver assistance features can be had on either of these SUVs, as an additional upgrade. 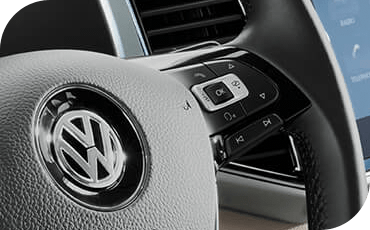 However, more of these important safety features are available on the VW Atlas! Lane keeping assist, reverse automatic braking and automatic high beams aren't available at all on the 2018 Nissan Pathfinder — only the 2018 Volkswagen Atlas. You might already know that Volkswagen is German for "People's Car." And, just like in the name, people come first at VW. That's why every new 2018 Volkswagen model comes with the People First Warranty — a 6-year/72,000 mile bumper-to-bumper warranty that's among the finest in the industry. 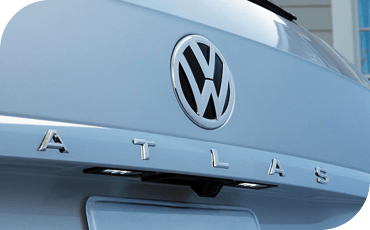 Not only is a Volkswagen a remarkable vehicle with incredible value and durability, if anything does go wrong, VW stands behind their vehicles like few other automakers. Visit Carter Volkswagen in Ballard today to take your test drive. For every test drive we give, we're planting a new tree in the Mountains to Sound Greenway! Find our showroom — and discover the Carter Advantage — at 5202 Leary Avenue Northwest, Seattle, WA 98107.